If you have heard the terms, responsive design, or mobile-friendly website, then you probably understand the need for building your website so that it’s accessible from a mobile device. If you don’t know what a mobile friendly site is, then read on! Why build a mobile friendly website? Well, basically because so many people browse the internet using some type of mobile device, and that number is growing. With the number of people browsing the internet from mobile devices increasing, developing a website that displays well on a variety of different devices is a must. There are a number of ways you can develop a mobile friendly site, but a trend has grown around building ‘responsive’ websites, and google has recently recommended responsive design. 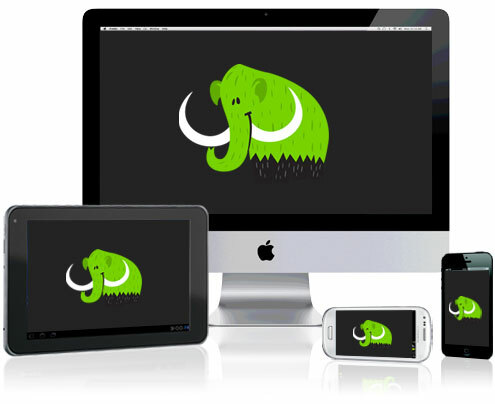 A responsive website responds to the device size and delivers the website content appropriately. Your website delivers the same content to all different devices, but it specifies how it should appear on different size devices. Not only do we need to consider how our website will look on a mobile device, we need to consider how our users will use our website on a mobile device. The mobile-first approach considers mobile browsing first when designing a website. If you have any questions or if you need your mobile friendly website developed get in touch with us.